Walker School is currently accepting registrations for the 2019-20 school year. May is EYE HEALTH MONTH and Superstore is offering FREE GLASSES! At Walker School, April is the month where we focus every day, every hour on being kind. Thanks to all those who ordered from Mom's Pantry. We have raised $2000!! This will go towards our playground renovation. Orders will be here and ready for pick up on Thursday, Nov. 22 at 3:30. We will be available until 6:30 for pick up. Orders will be picked up from Room 9. On Thursday, Nov. 22 and Friday, Nov. 23 we invite parents and guardians to join us in discussion about your children/our students. You can make an appointment(s) with your child/children's teachers from 3:45 - 6:30 on Thursday and 8:30/9:00 - 12:30/1:00 on Friday. 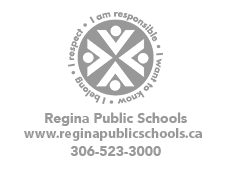 On Tuesday, Nov. 20 at 7:00 all SCC Members are invited to attend the Regina Public Schools SCC Forum with Trustees. There will be a presentation by Dr. Debbie Pushor on parent engagement and it's impact on student success. The event will take place at Johnson Collegiate. We look forward to seeing you there. Attendance Matters - In the month of September 81% of our students attended 90% or more (55% of our students had perfect attendance) of the month. WOW! Way to go Walker families!! This is important because we know that attendance matters.